Excellent shot. I love the scenery and the way you framed it. ohhhhhhhhhh! It's looks like a gorgeous place on earth!Excellent shot! Some beautiful lakes there in the neighborhood! Fantastic capture! Wonderful landscape, the best of the three for me! Superb POV and colors!a very peaceful scene. WOWWWWWWWW SUCH A BEAUTIFUL PLACE!! what a magnificent shot SO beautiful!! V! Stunnig photo. This is certainly a place of beauty and would love to see this area. Romance, romance ! Beautiful compo ! Love this shot! Ist wirklich wieder eine super Aufnahme! 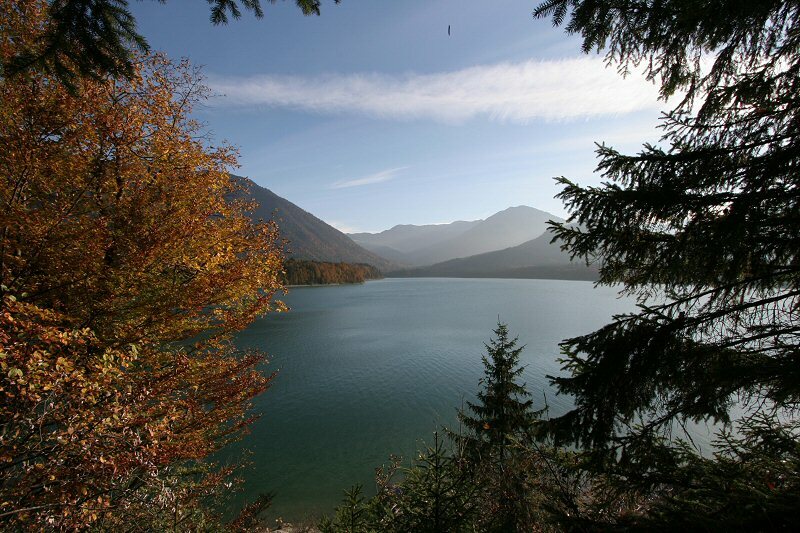 Herrlicher Farbkontrast vom Baum zum See und die Berge im Hintergrund sehen fantastisch aus! Das einzige, das mich stört, ist dieser schwarze Fleck oben in der mitte. Was zur Hö... ist denn das nur? Calm and colourful. An excellent shot!